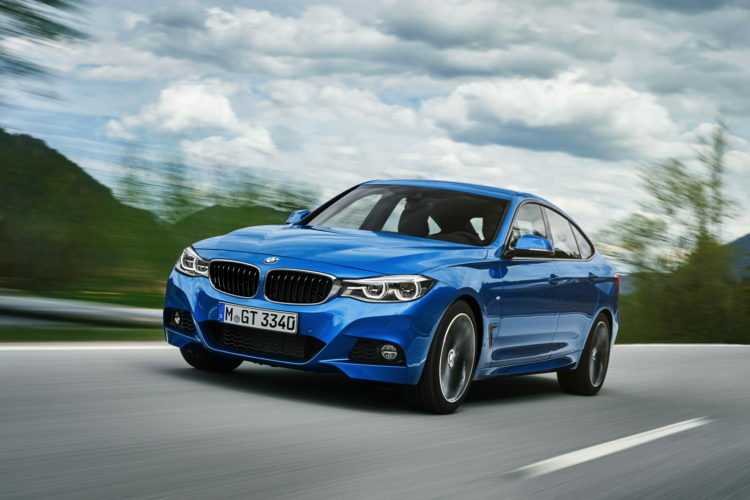 BMW is preparing to launch the latest BMW 3 Series Gran Turismo in time for the start of summer. Its biggest sales markets are China, Germany and the USA, and the majority of BMW 3 Series Gran Turismo customers are new to the BMW brand. The new version of the Gran Turismo cuts a visibly sportier figure, and the three petrol and five diesel engines in the range offer noticeably higher output. All the engines are turbocharged and burn up to 14 per cent less fuel. The design of the new BMW 3 Series Gran Turismo features standard-fitted LED headlights for dipped and high beam, and the LED front foglamps which lend the BMW 3 Series Gran Turismo a more sporting appearance. The car has a visually broader stance on the road. And the combination of updated LED rear lights and more zestful lines brings extra brawn to the rear styling. 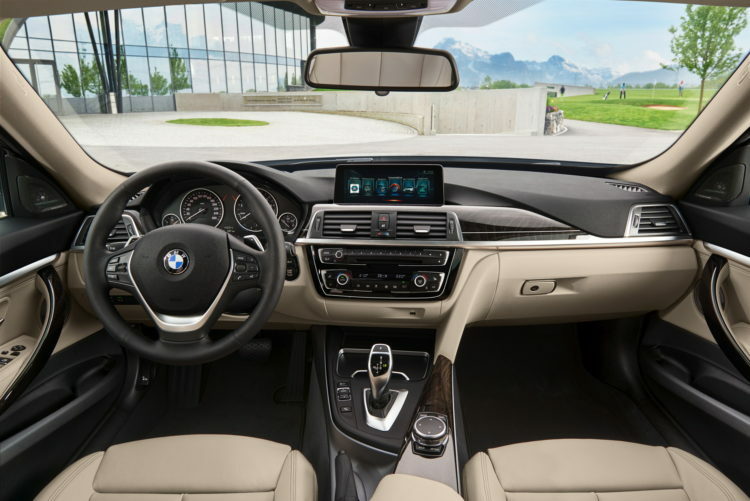 The interior of the BMW 3 Series Gran Turismo has an even more sophisticated feel, thanks to upgraded materials and accents. Extra chrome around the interior controls, and new decorative wood elements, colors and leather trim variants enhance the premium feel and look of the cabin. 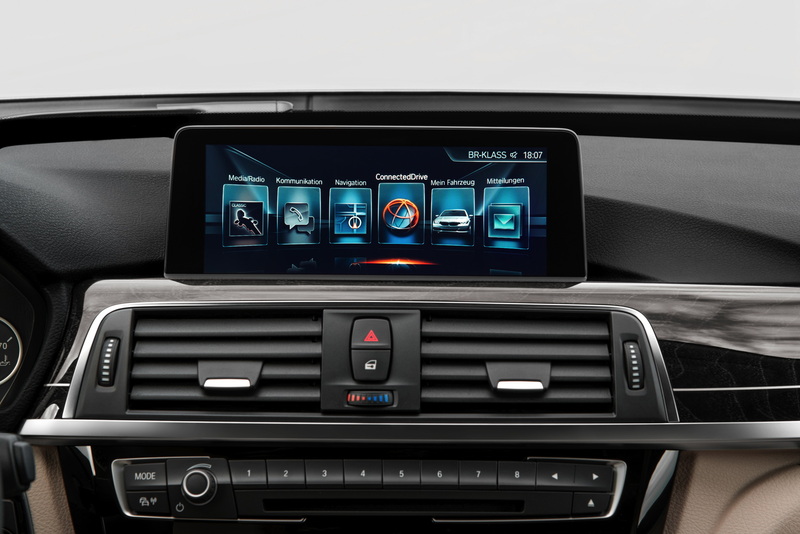 The latest version of the BMW Navigation system Professional will now also be offered in the BMW 3 Series Gran Turismo – the first time a mid-size model has been available with the upgraded system. The most important menu items are now displayed in a clear, tile-based style, which makes operating the system even more intuitive. 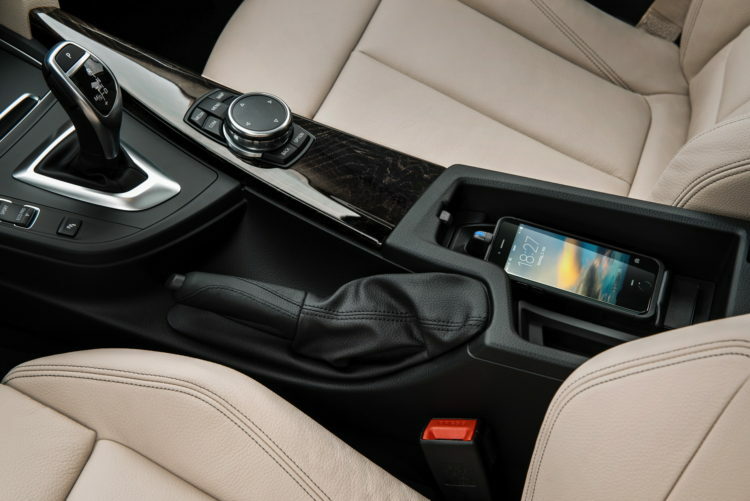 Linking up mobile phones has become more convenient, as smartphones can now also be charged and connected to the car’s external aerial wirelessly via an inductive tray. New engine family: higher outputs, lower fuel consumption. The new generation of BMW engines are now available for the BMW 3 Series Gran Turismo. The range consists of three all-new petrol units developing 135 kW/184 hp to 240 kW/326 hp and five diesel variants producing 110 kW/150 hp to 230 kW/313 hp – with classical rear-wheel drive or BMW xDrive all-wheel drive, with manual or Steptronic automatic transmission (fuel consumption combined: 7.7–4.3 l/100 km [36.7– 65.7 mpg imp]; CO2 emissions combined: 175–112 g/km). 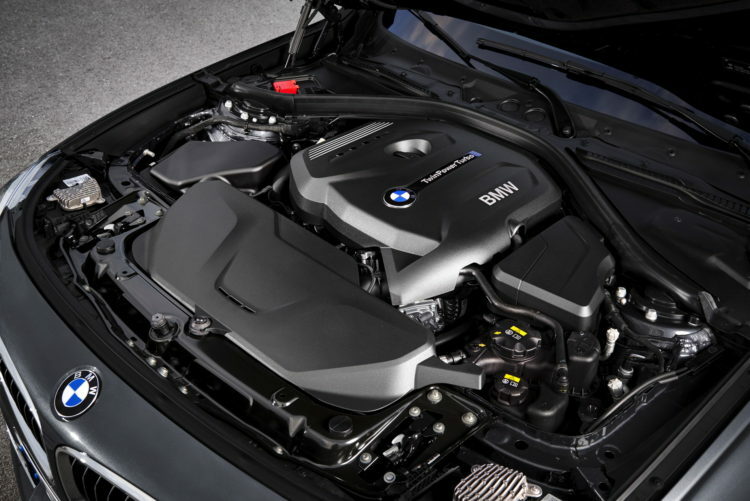 All the four- and six-cylinder petrol engines and four-cylinder diesels are taken from the newly developed, modular BMW EfficientDynamics engine family with the BMW TwinPower Turbo technology. An all-new addition to the diesel ranks, meanwhile, is the BMW 325d Gran Turismo. Considerable efficiency gains have been made with the new engines, despite their increased output. 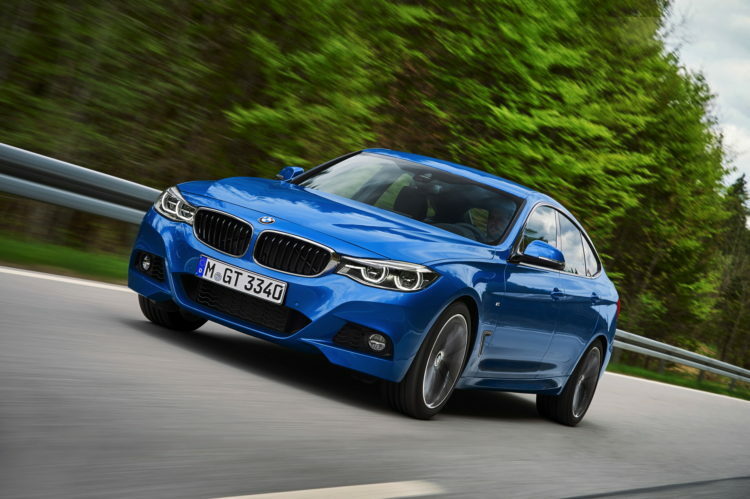 The reductions in fuel consumption and CO2 emissions range from 4.5 per cent in the BMW 318d Gran Turismo to 13,8 per cent for the BMW 320d Gran Turismo. The BMW 320i Gran Turismo, 318d Gran Turismo and 320d Gran Turismo come as standard with the six-speed manual gearbox, but can also be ordered with the eight-speed Steptronic automatic transmission as an option. All other engine variants feature the automatic as standard. And that means three more variants of the car (the BMW 330i Gran Turismo, BMW 340i Gran Turismo and BMW 325d Gran Turismo) are offered exclusively with the efficient Steptronic unit than was the case with the outgoing model. Improvements in efficiency, an increase in ratio spread and a reduction in converter slip during the gear-change process bring about a three per cent drop in fuel consumption and CO2 emissions. All petrol-engined BMW 3 Series Gran Turismo variants and the diesel-powered BMW 320d Gran Turismo and BMW 330d Gran Turismo can be specified as an option with BMW xDrive. 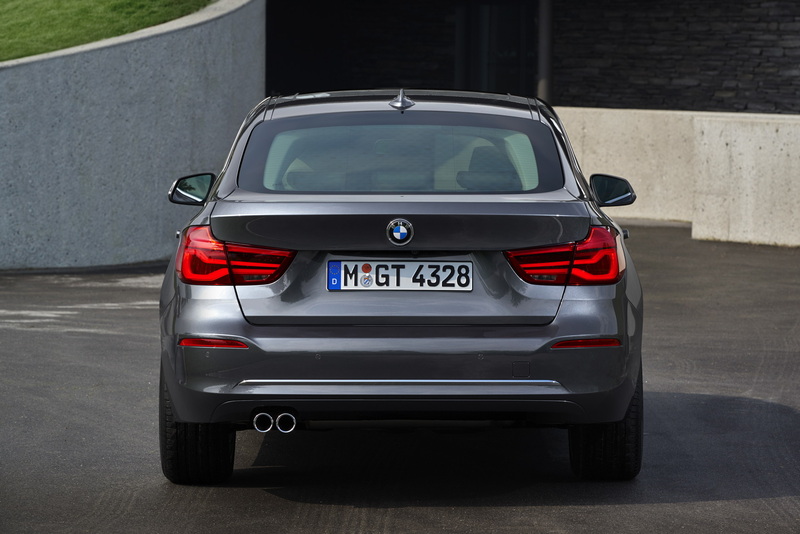 The BMW 335d xDrive Gran Turismo has this all-wheel-drive technology as standard. A total of 18 engine, transmission and drive configurations are therefore available for the BMW 3 Series Gran Turismo. Three equipment lines to choose from. 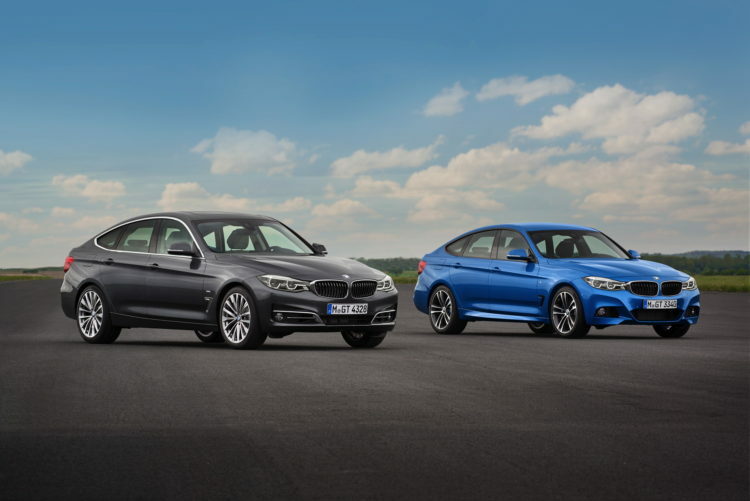 BMW 3 Series Gran Turismo customers can choose between Sport Line, Luxury Line and M Sport variants. The Estoril Blue colour shade is available exclusively for M Sport models. The BMW 3 Series Gran Turismo is fitted with an extensive selection of equipment items as standard, including automatic climate control, keyless engine ignition, Servotronic, six airbags, LED headlights for dipped and high beam, LED front foglamps, a high-resolution colour screen with iDrive Controller, a hands-free facility for phone calls – including a USB port and Bluetooth audio streaming – and a leather multifunction steering wheel. Greater freedom with interior and exterior equipment combinations opens up a wider range of possibilities to customers. Two new metallic paint finishes are available, as are three new wheel rim designs and additional upholstery variants and interior trim strips. Previous post All aboard the BMW 8 Series hype train?